Swimming or hydro-therapy is often the recommended trea tment for several medical conditions. It is recommended for back pain as well. Swimming is an excellent low-impact aerobic exercise. It’s easy on your spine and back, because water will provide the support you need, while you are trying to strengthen your muscles. Water will support all the joints of your body. Unlike running and many other aerobic exercises, with swimming, there will practically be zero impact on the structures of your spine. This is why, light swimming and pool therapy is often recommended for people who are suffering from back pain, joint pain, osteoarthritis and other conditions. The butterfly stroke is a good idea, as is the freestyle and the backstroke. If you are performing them correctly, then these strokes will stretch and mobilize your back. It’s an excellent cardiovascular workout. 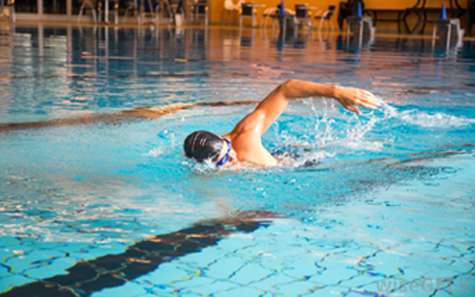 Aqua-aerobics sessions can help you when you are recovering from an injury as well. You will benefit from water therapy, even if you are just walking from one side of the pool to the other. Of course, if you are swimming, then you will benefit even more.